As Managing Director of VMS since 2007, Janice is responsible for fully understanding client needs and serving as the client’s strategic partner. Her deep knowledge of Stock Transfer, keen business sense and intuitive people skills add value to each engagement. 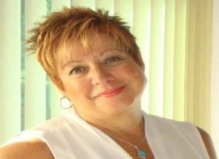 Janice has over 26 years of experience in the Financial Services industry, specializing in Stock Transfer. She began her career as a Programmer Analyst and rapidly advanced from Senior Project Manager to Director of Information Technology, V.P. Her innovative approach, strong people skills and team-oriented spirit made her a sought-after leader. She led her teams to provide innovative solutions to business challenges and growth opportunities, regulatory implementations, and client relationships for both technology and business operations. Following her Director of I.T. position, Janice’s career evolved to becoming the first Client Liaison for the corporation, managing and coordinating the largest demutualized insurance company in North America with the business operations and technology departments. She coordinated and managed the first annual dividend process and mailing of over 10M checks over a 15-day period. This effort involved planning with the client, company-wide coordination and vendor management. Janice has volunteered in her condo community, spending seven years on the Board, three of those as President. She continues her passion to assist others by volunteering with ALS-Greater NY Chapter as a team leader, with AARP non-profit and at The Depot supporting Children’s Aid & Family Services in NJ. Janice is also a Life Coach helping others live the life they want.